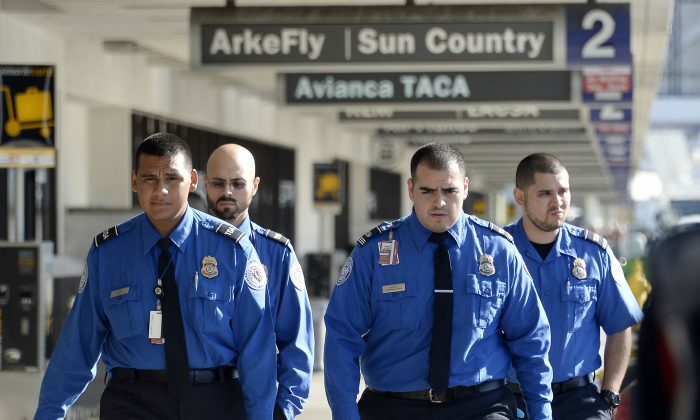 The Transportation Security Administration (TSA) has taken action on long-standing concerns about the vulnerability of U.S. airports to insider threats. But that still doesn’t mean airport employees will be subject to the same stringent security screening that passengers are. The United States has roughly 450 commercial airports employing hundreds of thousands of staff. A good many of them—from baggage handlers to mechanics to cleaning crews—are issued Secure Identification Display Area (SIDA) badges, giving them access to an airport’s most vulnerable areas like the tarmac and your plane. If Passengers Have to Go Through Tight Security, Why Don’t Airport Employees? Most airport employees are subject to no security screening at all or to random spot checks at best. This means there’s little in place that would stop an employee with ill-intention from bringing contraband into secure areas of an airport. While there haven’t been any very serious incidents yet, there have been close calls. In December 2013, a technician at Wichita Eisenhower Airport was arrested for plotting a suicide attack on the tarmac during peak holiday travel to maximize casualties, on behalf of al-Qaeda in the Arabian Peninsula. This has been the case at U.S. airports all along, and there have been numerous security breaches over the years because of it. But it was the arrest of a Delta baggage handler at the Atlanta Airport in a gun smuggling scheme, that raised the latest alarm bells. Eugene Harvey allegedly passed bags of guns and ammunition, including an AK-47 assault rifle, to a former baggage handler at an airport restroom inside the “sterile” area (past passenger screening). The arms, some loaded, were then carried onto commercial flights between Atlanta and New York—not once, but 17 times from May to December 2014. Harvey’s arrest prompted the House Subcommittee on Transportation Security to convene a special hearing on airport access control measures and the TSA’s Aviation Security Advisory Committee (ASAC) conducted a comprehensive 90-day review. The TSA released a set of security enhancements on April 20 based on ASAC recommendations. As has been the pattern every time that 100 percent passenger-style screening is raised, it was deemed not worth the investment. The cost is indeed high. In 2008 (the last time an assessment was done), the Government Accountability Office estimated the price tag to implement 100 percent screening would range from $5.7 billion to $14.9 billion for the first year for things like installing infrastructure and reconfiguring airports. Additionally there are the ongoing costs of additional staff and possibly introducing inefficient workflows. This time, the TSA concluded that “100 percent physical employee screening would not completely eliminate potential risks, but would divert critical resources from other critical security functions to mitigate other risks,” stated a TSA press release. The TSA, moreover, believes that random screening may even be better since static security measures can be “studied, tested, and more easily circumvented than those that are dynamic and less predictable,” reads the ASAC report. And screening does nothing in terms determining motivations, attitudes, and capabilities to cause harm. In the absence of full screening, the TSA is recommending more random checks throughout the workday, and a re-emphasis on the Department of Homeland Security If You See Something, Say Something initiative. It will also be mandatory for aviation employees flying as passengers to go through the regular public TSA screening. Finally, it’s mandated that airports work to minimize the number of access points to secure areas. The other potential vulnerability in the system relates to background checks. Criminal background checks are conducted before an employee is hired, but those only go back 10 years and are never renewed. Moreover, there are no crimes that would permanently disqualify someone from being granted SIDA access. So if an employee committed a worrisome crime longer in the past, or is currently under criminal investigation, this information won’t reach their employer. The new security recommendations announced by the TSA address these issues. Going forward there will be fingerprint-based criminal history checks every two years for SIDA badge holders. The committee also recommends speeding up adopting the FBI’s new Rap Back Service, which would give immediate notification of criminal activity of enrolled individuals. Lastly, the TSA is advised to review the existing list of criminal offenses that would disqualify employment to ensure it reflects the current threat environment and is up-to-date with changes in the legal system. In the past few years, Southeast Asian airlines have experienced remarkable growth, driven primarily by the rapid expansion of low-cost carriers, like AirAsia.